Place corn in colander or strainer. Hold under cold running water in sink until thawed; drain well. In 12-inch skillet, heat butter over medium-high heat until foamy. 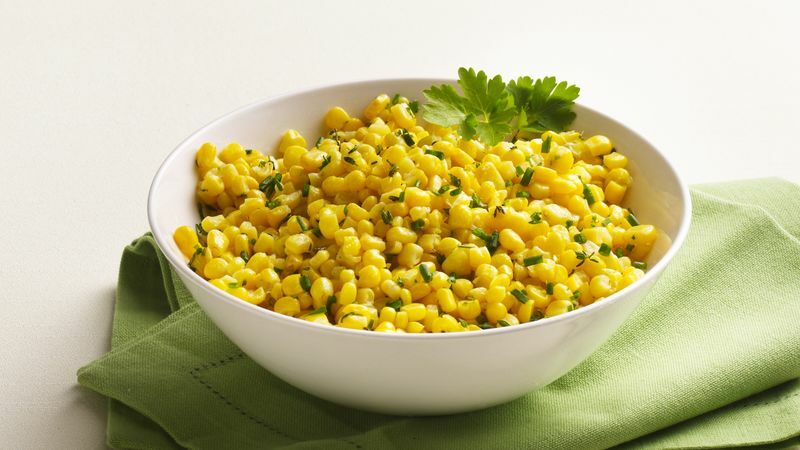 Add corn and remaining ingredients; cook 3 to 5 minutes, stirring frequently, until corn is thoroughly heated. The level of salt and butter is low in this recipe, which not only makes for healthier eating, but also allows the herb and fresh corn flavor to come through.